What is common between Lego, NASCAR and Instagram? Answer: A shared set of constraints (in functionality/features) and a shared set of capabilities that form the bedrock of the whole experience for any ‘participant’ in any part of the world. Well almost. Let’s start with Lego – a brand with a phenomenal presence around the world that charmingly scales to ‘62 little color blocks for everyone on the planet’. Throughout its roller coaster ride, over the last 60+ years, ‘despite’ new ideas and innovations that redefined dominant themes and possibilities that can be realized out of these toys, one thing remained the same throughout the times: the Lego brick. Lego bricks have constituted the fundamental building block of any Lego toy built through the ages. While they come in various sizes and shapes opening up newer possibilities, they are basically and functionally similar (if not same) to each other – in fact it is said that Lego bricks of 1950s can connect even with their 2009 counterparts as if they have been made for each other! So barring some theme specific add-ons that are sometimes bundled along with the building kits, all Lego toys come with the same/similar set of capabilities and constraints at a fundamental level. I feel it is this shared awareness of the multitude of possibilities that can be realized using the same set of blocks and the constituent constraints (or absence of them), that fires up peoples’ imagination and makes them co-creators of the brand’s physical and virtual footprints. And thereby makes this a real shared experience. 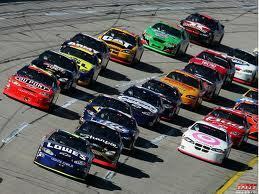 NASCAR is different from F1 in a number of ways.F1, besides from being a race among the drivers and their teams, is also a race among the ‘constructors of the car chassis’. So there are a number of factors at play in the run up to that coveted podium position in every Grand Prix– the engine, its aerodynamics, tyres, the technical support, the strategy, the drivers etc. But NASCAR on the contrary largely remains a race among drivers – with everything else (for most part) being equal. So what essentially matters is just the competency of the drivers and their strategy. In fact, this is what makes maintaining any given position consistently (1st or the 25th), while aiming to overtake the next man (or woman) in front of you extremely challenging in a NASCAR rally. So in many ways, it is this ‘race among equals’ philosophy that makes NASCAR for as engaging a watch and fan following that it has as of today. Over to photo sharing. 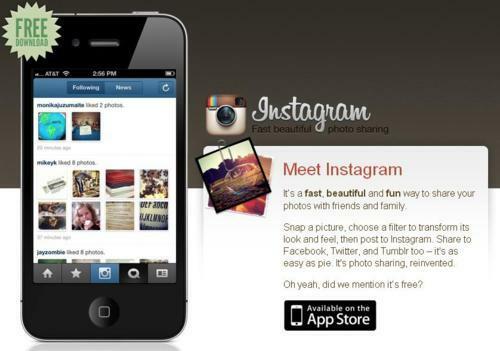 There are many social networks predicated on the concept of photo sharing and social networks. While they must be doing a great job in terms of providing a common platform for people to share their photos with friends and others, they lack what it takes to foster a real shared experience among the users. For eg, if I want to share my pictures that I have taken with my mobile phone and hence were to be on say flickr (I must admit I really like flickr for what it is, but that’s besides the point now), I might run into tons of stunning, visually breathtaking photos posted by a number of photographers around the world. So, while I might sometimes stop by and enjoy these pictures for what they are, I don’t and cannot relate to them. I might think that these have been shot with a Full Frame DSLR by a trained photographer and even post produced in some professional photo editing software. So this benefit of doubt that I give to these pictures in deference to those great cameras / photographers and software stand in my way of seeing this a real shared experience. Enter Instagram. This also answers why Instagram hasn’t been in a rush to release an Android version of the App so far; for if it does so, there could be a sudden explosion of photos taken by thousands of different mobile phones / tablets with different specifications and capabilities. Hence suddenly the whole deal ceases becoming a real shared experience that it has always been till now. So there you go – a common thread that connects and potentially explains the popularity and the impact that brands like Lego, NASCAR and Instagram enjoy. A celebration of the lowest common denominator in features/functions and constraints. Can you think of any other brand/innovation/business model that thrives upon fostering a shared experience for the user/consumer based on a set of common constraints (and common capabilities)? This entry was posted in Uncategorized and tagged Constraints, Flickr, Instagram, Lego, NASCAR, Shared Experience, Social Networking. Bookmark the permalink.